I picked up Live In Europe last week because I wanted to experience the magic of Rory Gallagher for the first time on vinyl, the way it would have been when he was making albums back in the day. After the first listen I was in love with his guitar tone and technique, and the variety of blues influences that Gallagher incorporates seamlessly into his music. Live In Europe was compiled from different live performances recorded during a European tour in February and March 1972. I was intrigued by the song selection on the album. What one usually expects from a live album would be live renditions of their favorite songs or the hit singles. 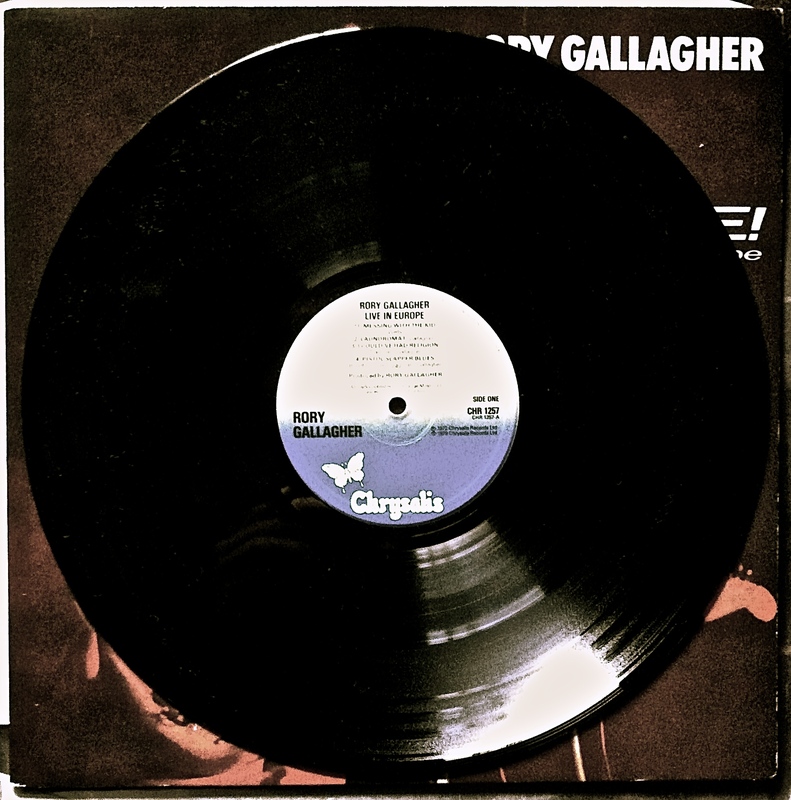 It is understood that Gallagher was not fond of singles; he opted for the album format. This outlook is evident in Live In Europe; it is a no messing-around live album where the best songs of the tour were selected based on their musical value, not popularity. Furthermore, only two songs on the album are Gallagher compositions, the others are arrangements of traditional and older blues numbers. The album starts with ‘Messin’ With The Kid’, a powerful piece with blistering guitar solos throughout and the raspy voice of Gallagher. Starting with this number showcased just how impressive three rockers playing together can be. Wilgar Campbell provided driving drums, with exhilarating fills and Gerry McAvoy held it all together with his tight, walking bass lines. As Live in Europe progresses, Gallagher and his band explore many different instruments and timbres as more traditional blues influences are revealed. ‘I Could’ve Had Religion’ features slide guitar and harmonica mixed together impeccably by Rory, making the listener hang on every expressive note. 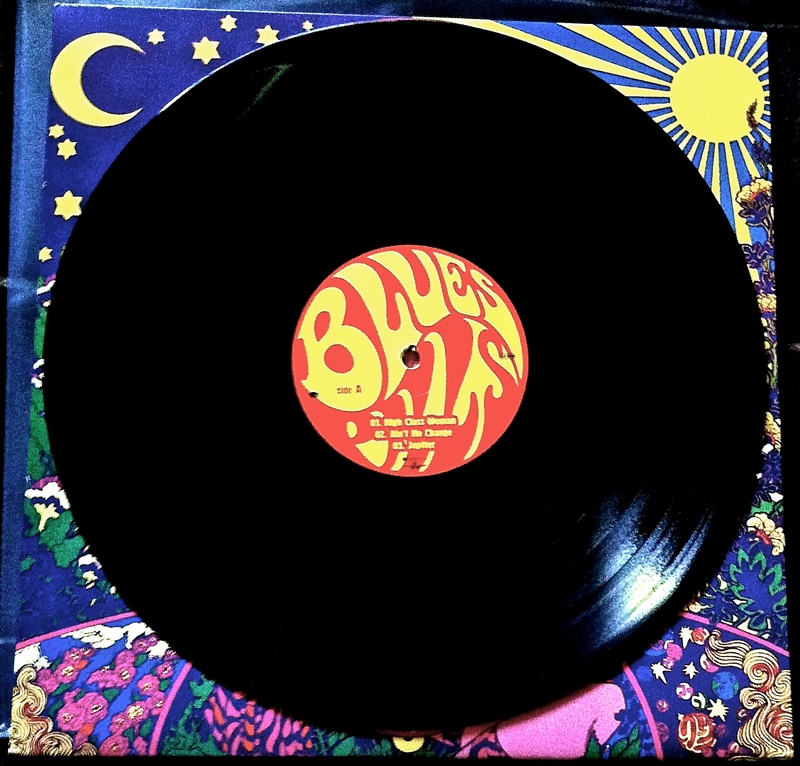 Further adding to the traditional blues sound, acoustic guitar is used in ‘Pistol Slapper Blues’. The acoustic guitar is ideal to compliment the conventional overtones of the piece along with lyrics that are dated and hark back to simpler time when blues was created. The second side of the record starts with Gallagher playing mandolin on ‘Going To My Home Town’. Throughout the song Campbell is keeping time with the kick drum while the audience claps along. This recording captured the atmosphere that would have been present at a Rory Gallagher concert. It makes you feel as if you are there! 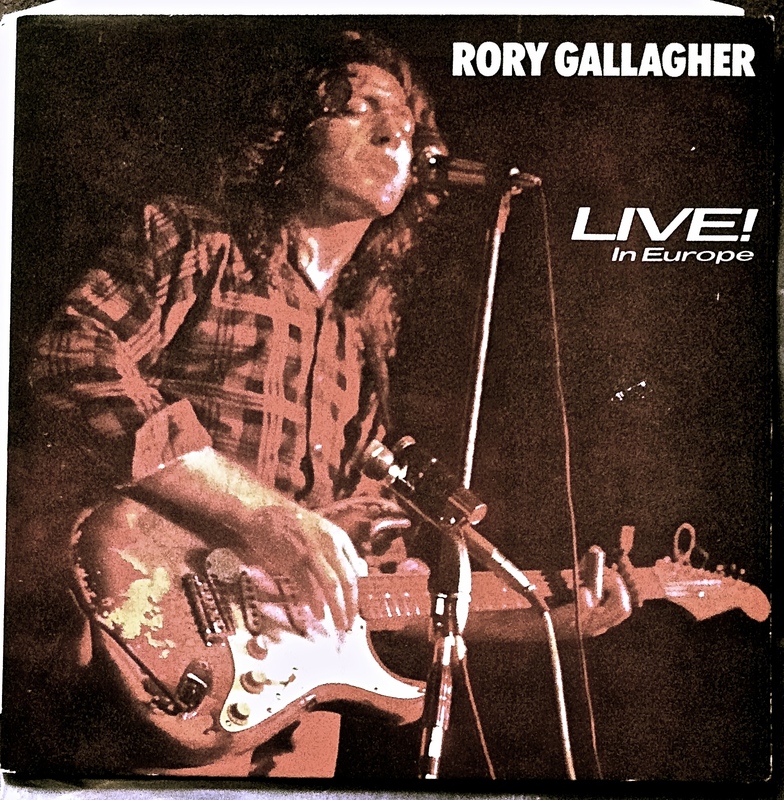 Closing Live In Europe is ‘Bullfrog Blues’, another traditional blues arrangement by Rory Gallagher. This is a commanding musical statement on which to end the album. Slide guitar bellows as McAvoy walks his bass like a maniac, and in typical live fashion, there is a tasty drum solo by Campbell. This solo action from the other musicians is something I crave from a live album of this era, though short and sweet, I was satisfied. After having listened to Live In Europe multiple times since I found it last week, I can safely say that it is a seminal blues album that you will dig from the first listen. With many penetrating guitar solos, varying dynamics, textures and just awesome bass, drums and guitar interplay, it’s a classic blues album everyone can enjoy for the love of music. 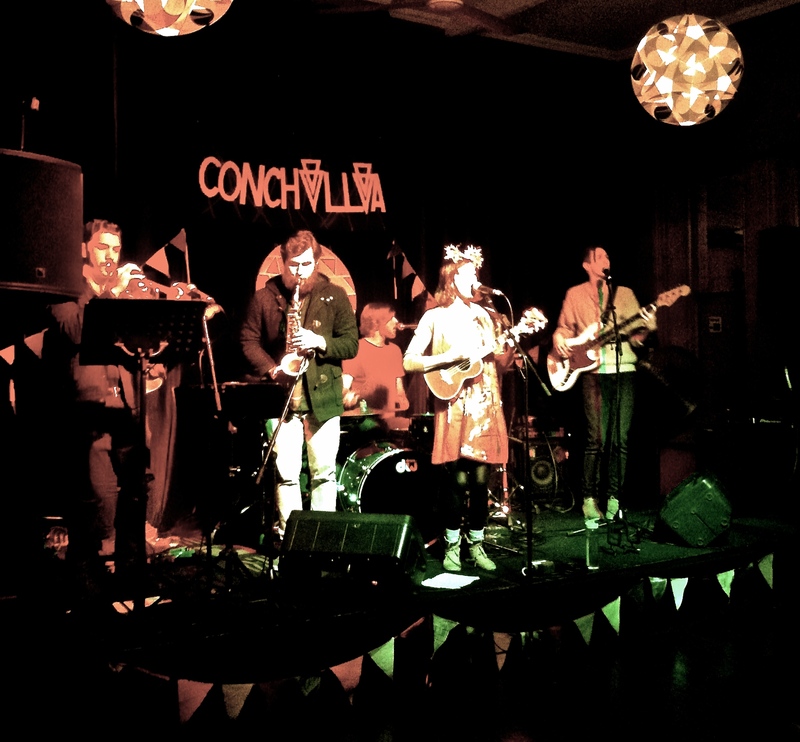 With a world of influences, Conchillia delivered earthy and grooving tunes at The Crown and Sceptre Hotel on Saturday night. There were many positive vibes floating around the room as they prepare to record an upcoming EP and had recently returned from a tour of the east coast. Kicking off the evening was soloist Naomi Keyte. I hadn’t heard Naomi before, but I was pleasantly surprised by the compositions that graced my ears. With mellow, lush and reverberant sounds, Keyte showcased relaxing songs and intriguing chord progressions. I was impressed by the use of a loop pedal that made a single performer sound like an orchestra of guitars and vocals, all harmoniously singing and playing together as one. Next up was Lost Woods. This is the third time I have seen Lost Woods and they keep getting better. I admire a band that each time you hear them you can pick up something new and exciting that you hadn’t noticed before. This time the thoughtful guitar interplay between brothers Sam and Tom Baird struck me and sounded better then ever, filling out the mix and producing melancholic soundscapes. ‘King of Aberdeen’ from the Lost Woods EP was a highlight; the chorus is so catchy I was singing it all the way home. Lost Woods played a kickass set and had me tapping my feet the whole time! 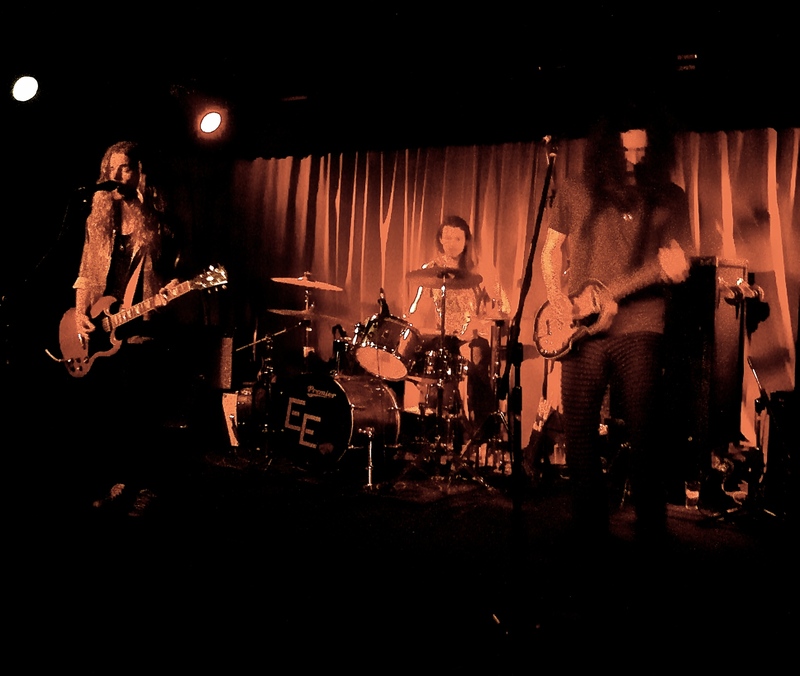 Lost Woods provided catchy, grungy melodies. 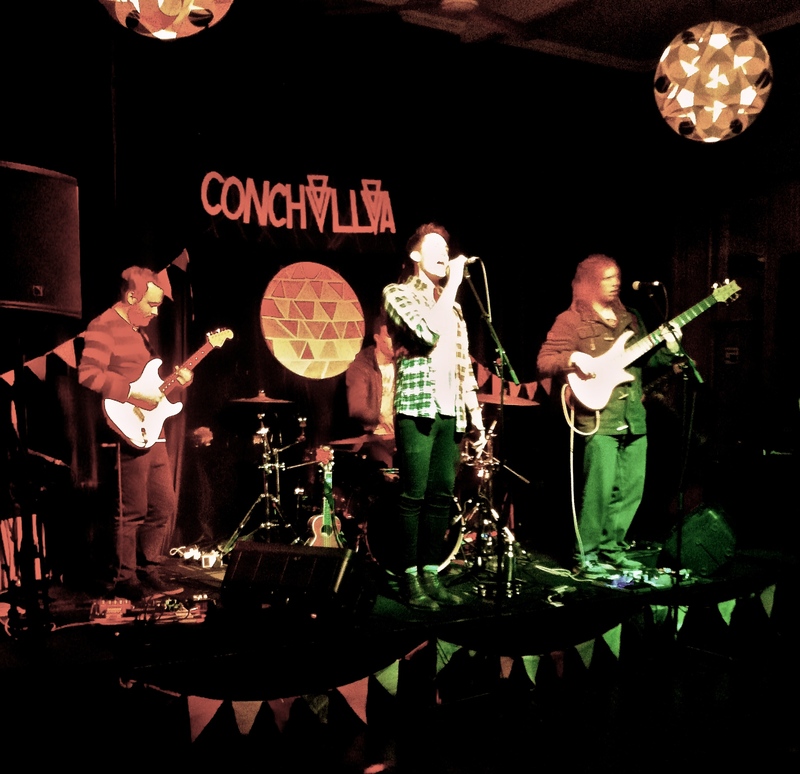 Conchillia took to the stage one by one throughout a carefully crafted first song. Right from the beginning when bassist Kiah Gossner joined drummer Miles Sly on stage, the togetherness of this band was evident, further added to by Tom Kneebone on electric guitar, Jake Goss on saxophone and Nathan Forward on trumpet. When vocalist Jes D’Cruz entered the picture with her ukulele, Conchillia was in full swing! The set progressed as Conchillia proceeded to take the audience on journey around the world. There were upbeat, grooving sambas and laid back, jazzy blues, all mixed with modern-contemporary characteristics. There were moments of intense emotion when Jes introduced a song about the passing of a close friend. The audience fell silent and hung on every word and note. There were also light-hearted numbers, such as ‘Follow the Sun’, that had everyone singing and dancing. A unique Conchillia touch was when a veggie plant was given away to one lucky audience member. When D’Cruz asked what the plant was, calls of coriander and basil resonated, but it was parsley that took home the prize. This crowd participation demonstrates the band’s commitment to a healthy lifestyle and sustainable environment. It includes the fans and makes them feel that they are part of something special and important. The whole evening was beautiful and elegant, carefully put together by the artists involved. I was lucky to finally experience Conchillia. Their music is powerful and brings people together. It seamlessly unites many different cultures and styles of music as one, forming a new and refreshing world-indie pop genre that everyone needs to experience. 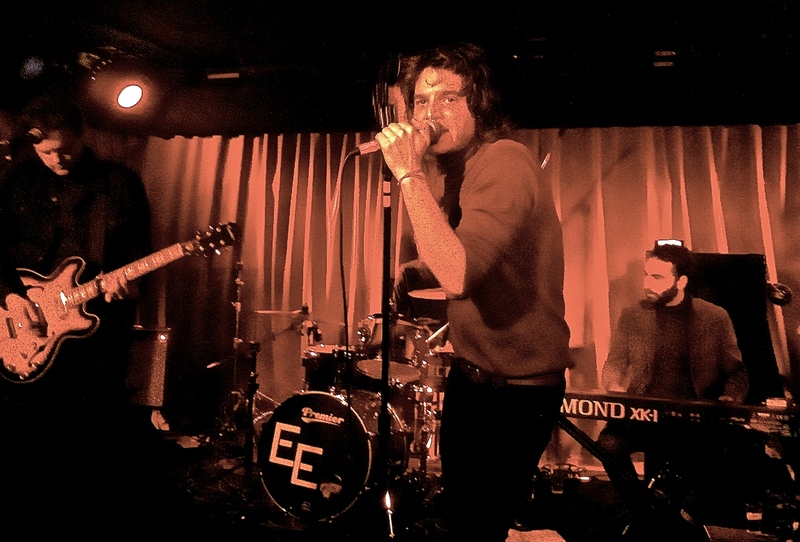 With the emotional ambiance of Naomi Keyte and the grungy hooks of Lost Woods, it made for an awesome night of music. Check out all three of these incredible artists for the love of music and you too could go home with some parsley. An earthy and organic performance by Conchillia. It has taken me a while to catch onto the magic of Blues Pills, but it has finally happened. I got the Swedish rockers’ debut album, the self-titled Blues Pills, late last year. I listened to it during an exam period in the final year of my degree, so unfortunately the relaxed and chilled effect records have on me would have been non-existent and my mind would have been elsewhere. The other day I pulled this album out and put it on. Right from the first powerful song, all the positive vibes of the first listen started flooding back to me and I was banging my head to the bluesy tunes. The album starts with ‘High Class Woman’, a commanding song that pounds the eardrums from the outset. Elin Larsson’s vocal performance begins expressive and smooth, before long the song builds into a blistering powerhouse of awesomeness smacking the listener in the face. One of the first aspects of this album I came to love was Larsson’s vocals, it only took 30 seconds. Throughout Blues Pills, her voice is a pleasure to hear and demonstrates such depth and energy. It only gets better! Having a quick read of their Bio on the Blues Pills official website, it mentioned soul influences. And right they are, proving this my soul-music-loving sister even knocked on my door and asked what the band is, a rare occurrence. ‘Ain’t No Change’ featured verses with a hybrid version of Motown combined with blues and rock. Further adding to the blues-rock side of things are multiple solos from guitarist Dorian Sorriaux, demonstrating his carefully crafted vintage guitar tone. ‘Black Smoke’ was also a stand out track, which incorporated many classic influences, such as a driving shuffle similar to that of Machine Head era Deep Purple and harmonised guitar melodies reminding me of Thin Lizzy. 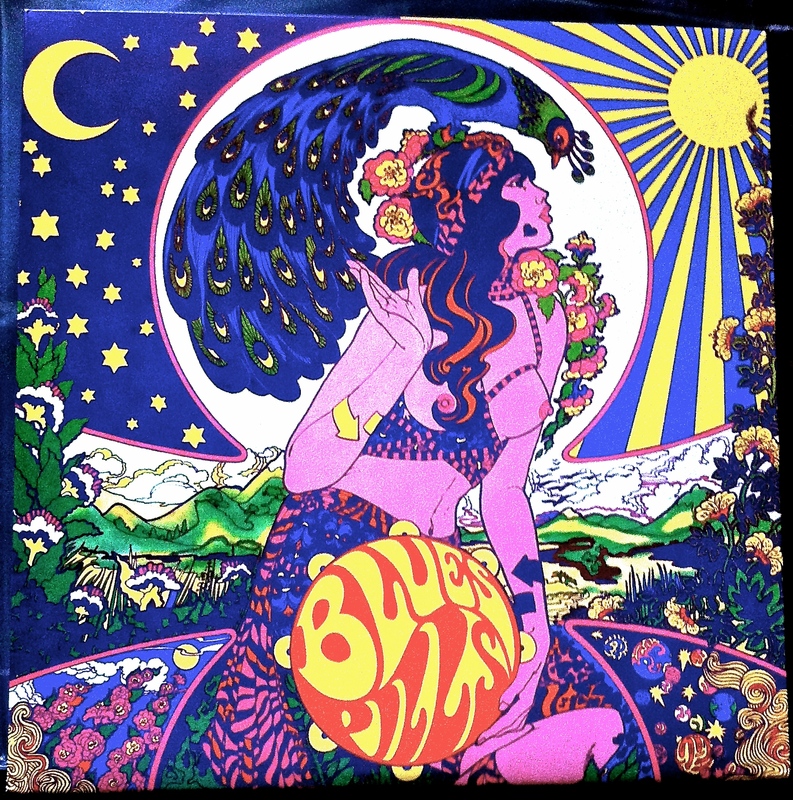 Blues Pills is full of vintage influences throughout; much of the old school sound can be attributed to the production. The album was recorded, mixed and produced by Don Alsterberg, who has previously worked with the retro Swedish band Graveyard. Alsterberg does a tremendous job of making the recordings sound organic and fresh just like they would have been back in the ‘60s and ‘70s. I don’t know exactly how he has done this, whether Blues Pills was recorded analogue, not digital, or minimal editing was carried out to make the music sound live and raw. What I can safely say is the rock ‘n’ roll music coming out of Sweden at the moment has a magical touch. It makes the listener feel like they are in a time warp; they can put on a vinyl and travel back to the golden age of rock, at the same time as discovering new and current music. Absolute bliss. Blues Pills have served up a hearty stew of soulful blues-rock, it has never tasted this fresh and balanced. With the powerful, smooth vocals of Elin Larsson, the thumping grooves from Cory Berry, the fuzzy bass tones of Zack Anderson incorporated with the refined, retro guitar chops of Dorian Sorriaux: this is an album to get lost in and celebrate the hay day of good old rock music. So spin this one and head back in time for the love of music.